Tee times are available for all days apart from Saturday. For group and society bookings please speak with the club Professionals to secure best rates. Visitor times are listed below but may be extended by half an hour for large groups under certain circumstances. Twilight golf for visitors is allowed from 4pm weekdays. Buggies are available for hire. Please enquire at the time of booking to ensure availability. The summer 4 ball deal is available at £120 midweek or £140 on a Sunday on a golf only basis. To enquire and book your date please ring the Professional Shop on 01253 873661, option 1. A deposit will be required to secure your chosen tee times and is required upon booking. The amount will vary dependant on the group size. 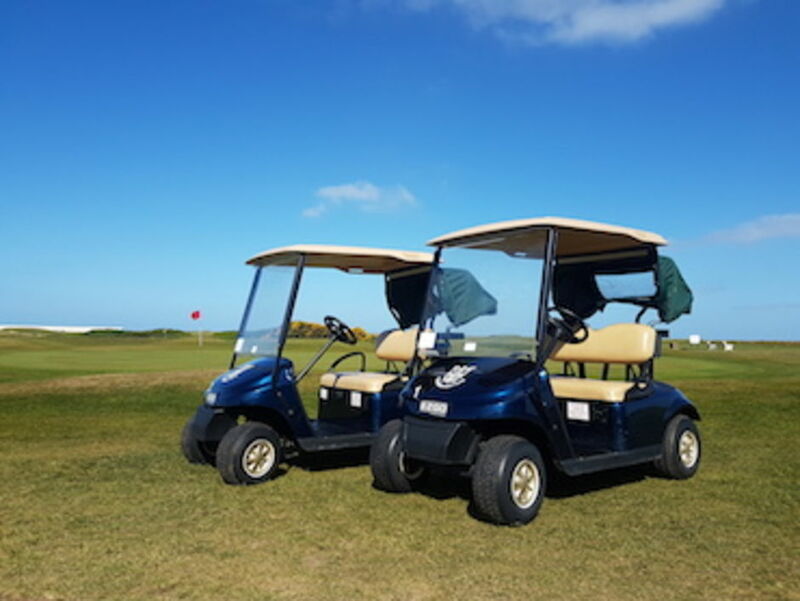 Unfortunately unused deposits will be retained by Fleetwood Golf Club Ltd. If a deposit is not received 2 weeks prior to the event, tee times will be released. The visiting organiser should confirm precise numbers to the Club Professional on 01253 873661 at least seven days prior to the event. The Club cannot guarantee to accommodate more players than originally booked. Details of inclusive catering packages will be enclosed with the confirmation. Special dietary needs should be highlighted to the Professional no later than seven days prior to the visit when you are confirming your final numbers. If you do not want a catering package, hot and cold snacks are always available. Morecambe, Lytham Green Drive, Blackpool North Shore, Knott End, Ormskirk, Carus Green, Kirkby Lonsdale, Skipton, Grange over Sands, Minthis Resort Cyprus. .